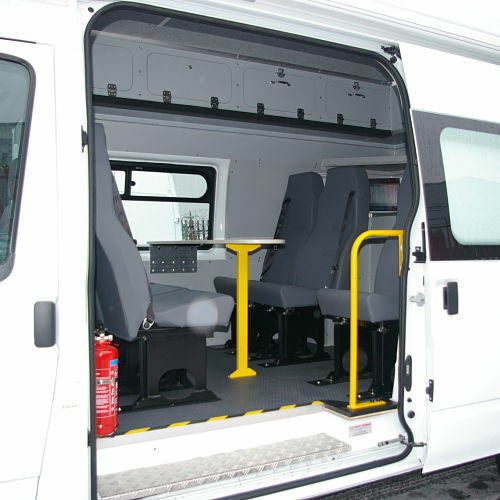 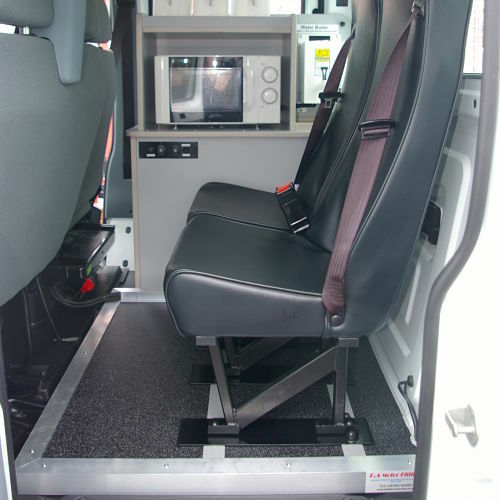 4 - 6 and 7 seats to include the driver N1 and 8 and 9 seat crew vans including the driver M1 categories, now used in many work place environments, although originally built specifically for the rail industry and alike usage, of which we can provide all specification requirements. 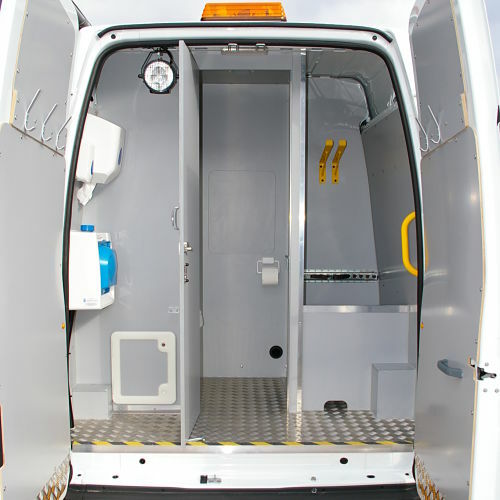 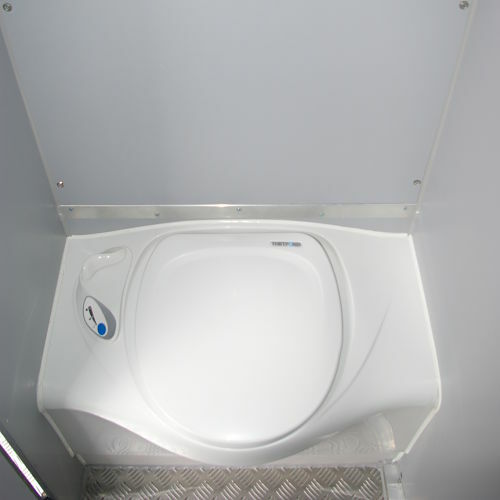 Now used by companies to provide toilet facilities on site, access control or a means of carrying personnel and tools or special applications to the work site, with the added benefit of the messing facilities on the vehicle. 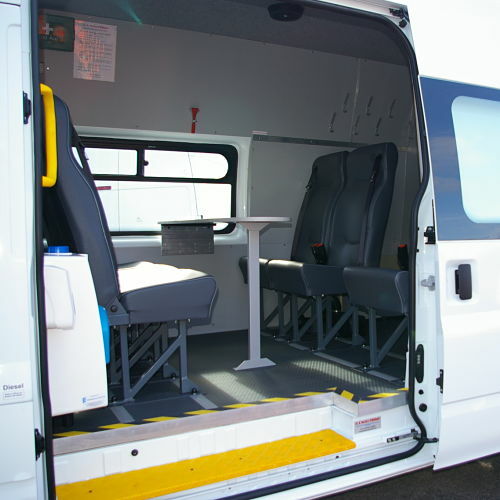 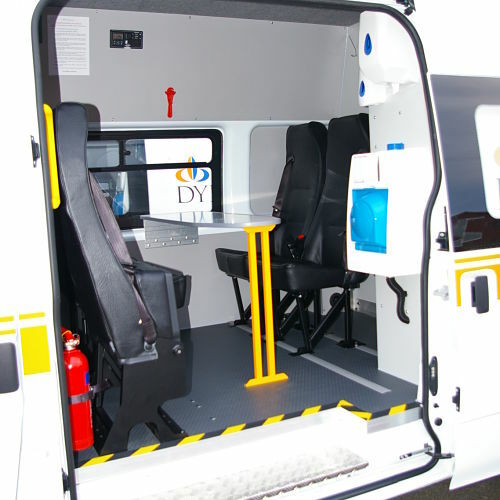 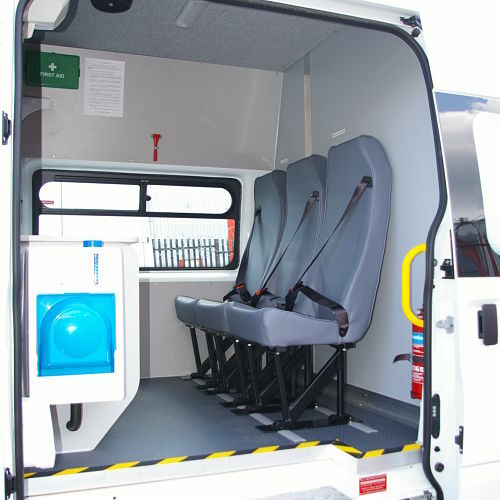 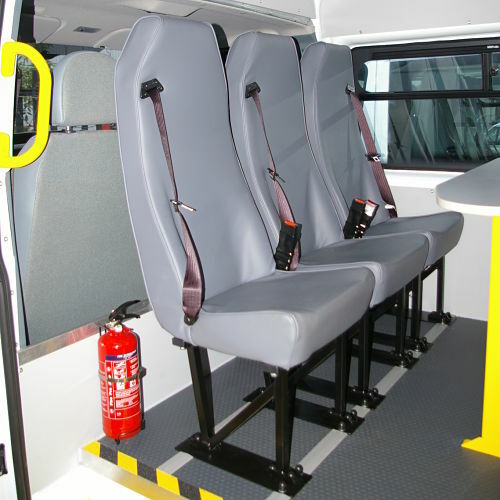 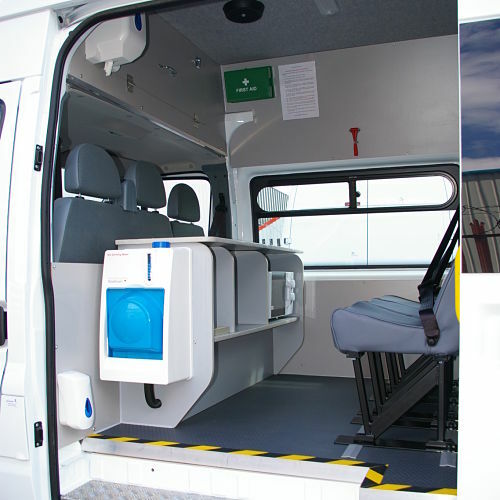 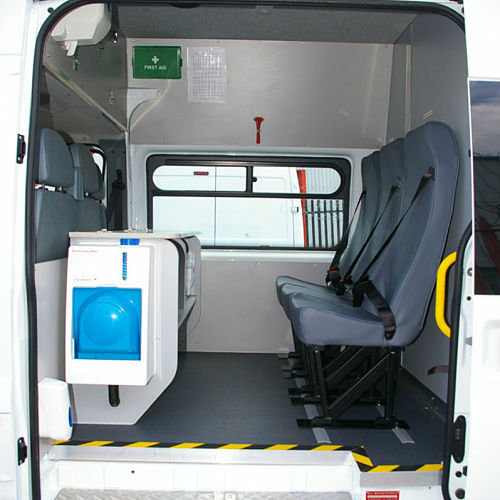 Crew vehicles of these categories are built to a high standard, to ensure the right protection in the work place, this extends from the approvals of the crash tested seating systems to a welfare commitment, whereby the work crew is both protected and provided with a safe environment, to travel in and work from. 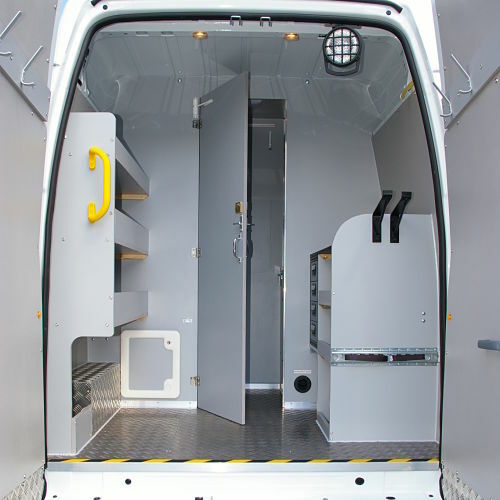 There are many specifications available from a basic format or to a customers specific needs design - and build within the capability of the axle weights and gross vehicle weight. 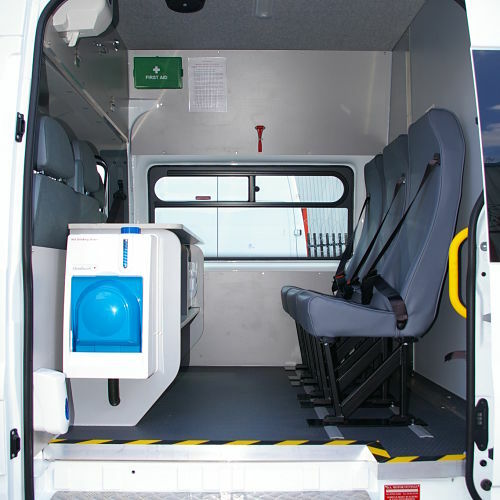 UK national small series type approvals and variants. 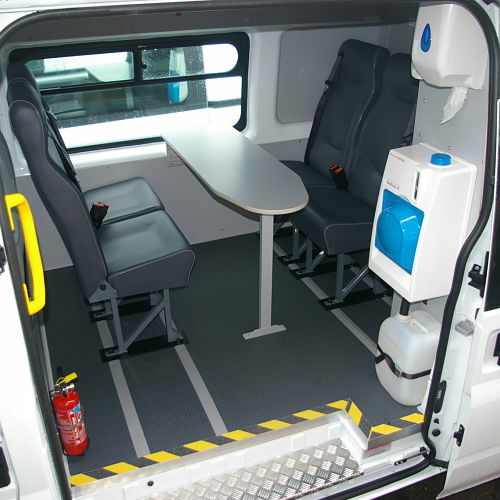 IVA options for bespoke conversions. 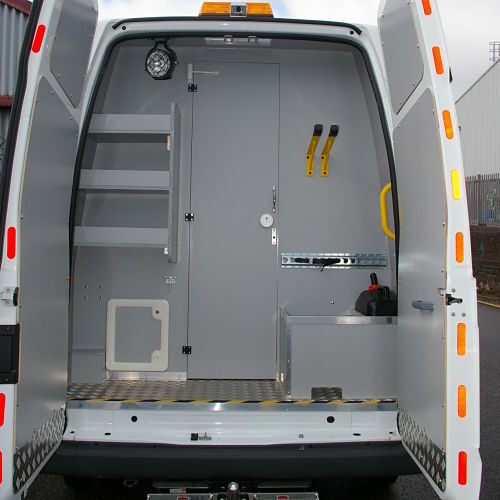 All our vehicles carry a 3 year workmanship warranty with appliance fitments as manufactures warranties from 1 to 3 years respectively, accompanied with a back up service for 3 years. 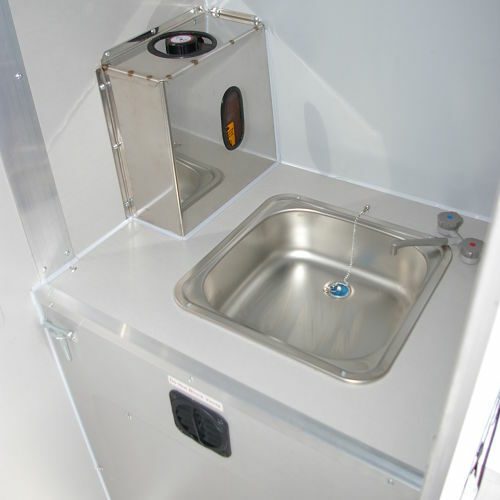 All appliances and fitments used in production are based on E certificated, certified and approved products. 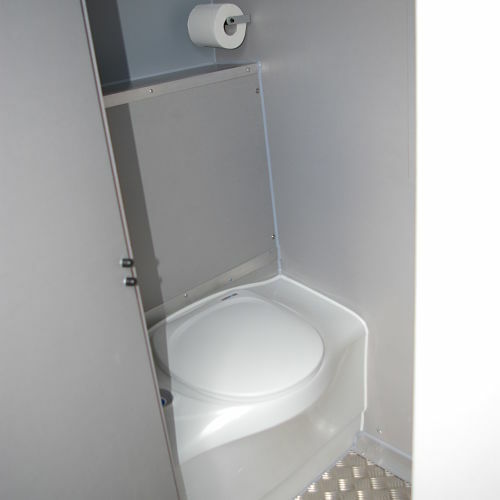 Fitted to conformity of production. 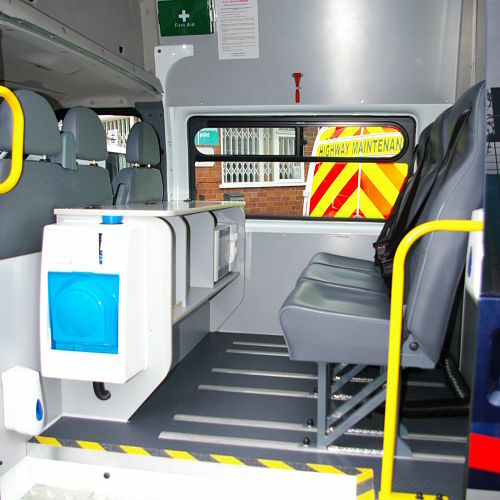 ( COP - high Standards) Glazing, Seating, Heating and Plumbing, Hand Washing facilities, Split Charging, Inverter Power and all electrical and installations to include PAT testing and diagnostics as required. 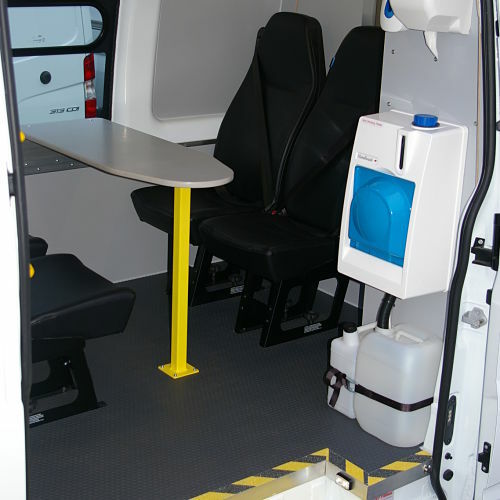 GRP - Fibreglass Van Plylining. 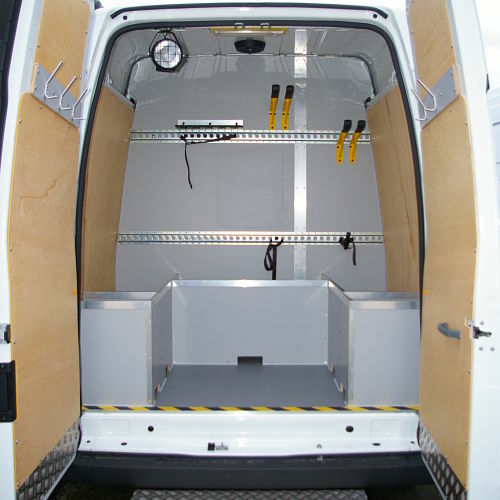 Plylining with Modular Racking and Storage. 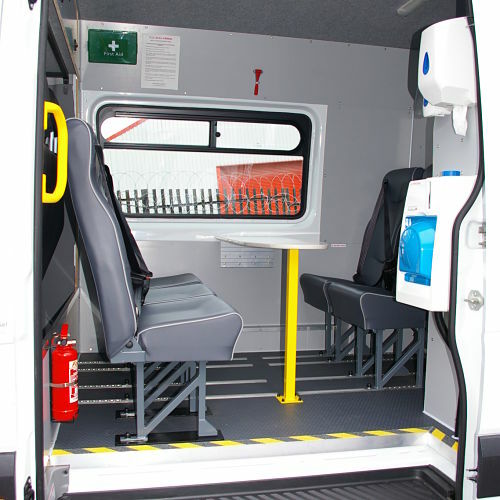 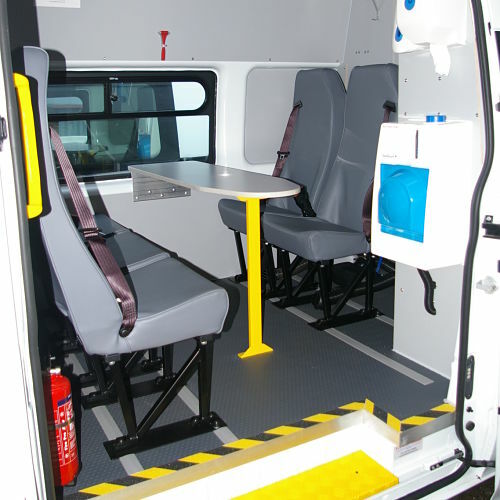 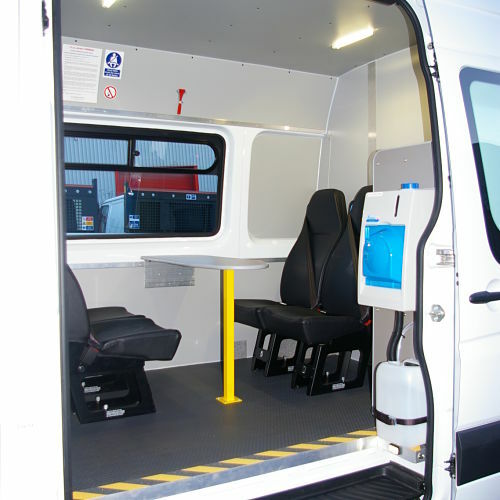 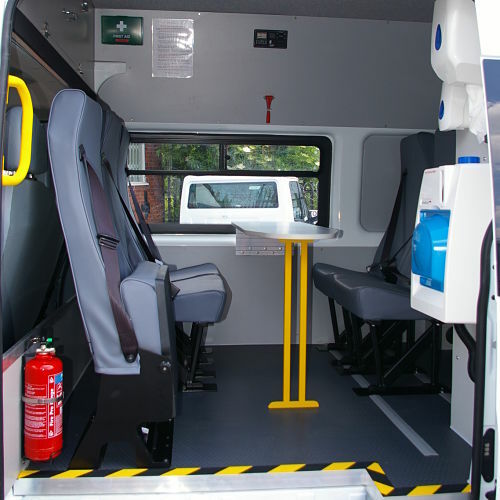 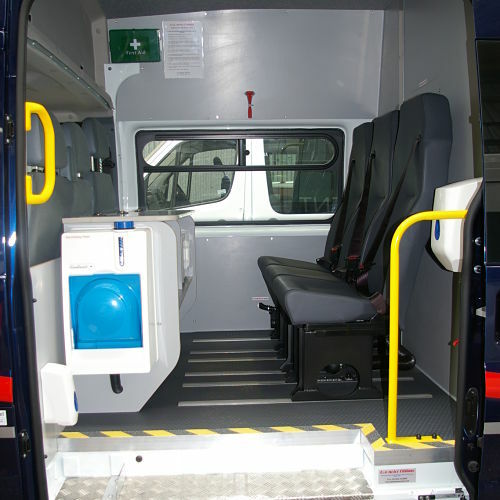 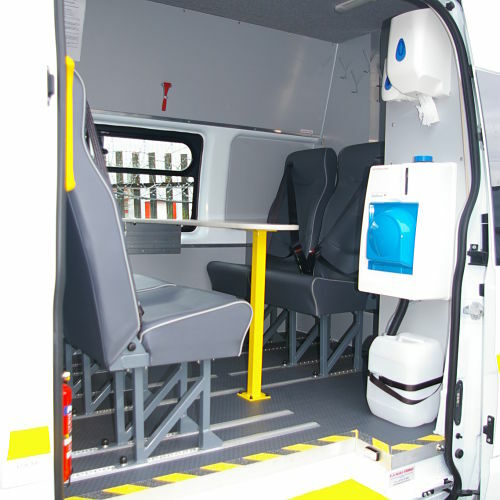 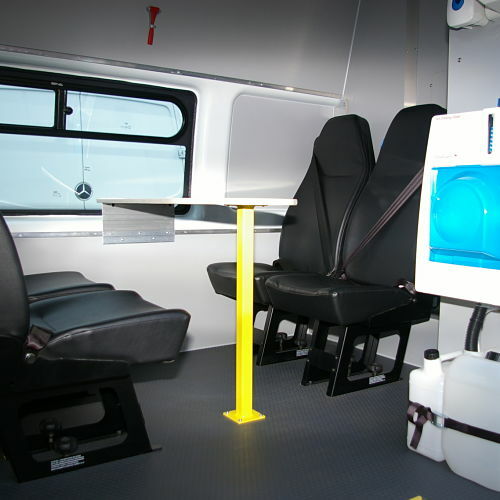 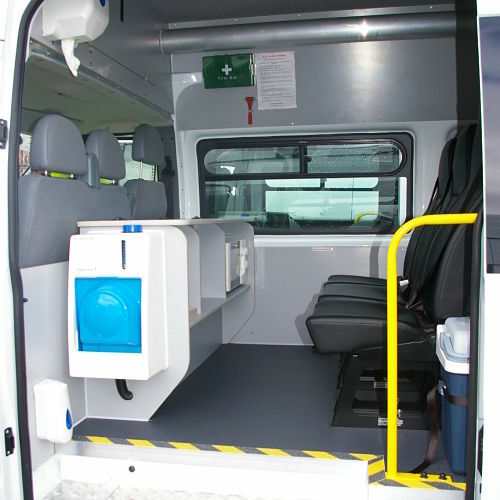 Type Approved 7 Seat Welfare Unit. 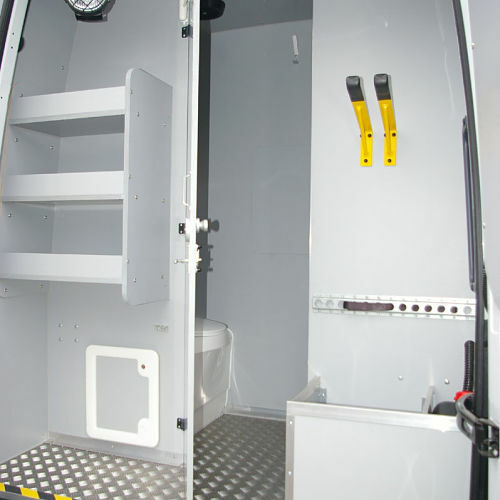 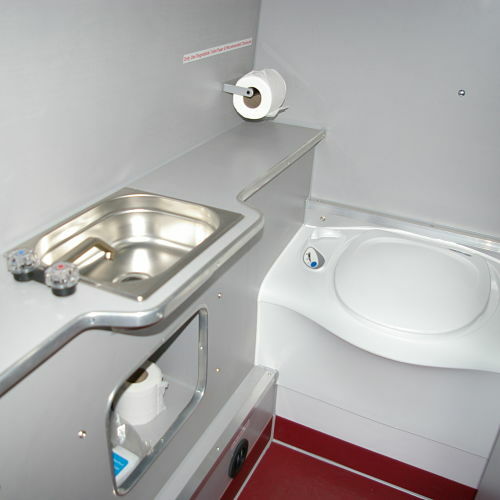 6 Seat Messing Van with Toilet Facilities.